Dr. Lee was born and raised in South Korea, and came to the United States when she was 18 for college. She went to Queens College, City University of New York and graduated with honors in Biology. Then, she earned her doctor of dental surgery degree in New York University, College of Dentistry in 2010 where she found her special interests in treating children. After the graduation, she was trained at Wyckoff Heights Medical Center, Brooklyn, NY for general dentistry, and she continued her training at Interfaith Medical Center, Brooklyn, NY where she obtained a Certificate in Pediatric Dentistry. Dr. Lee is an active member of the American Academy of Pediatric Dentistry and she is Board Certified by the American Board of Pediatric Dentistry. 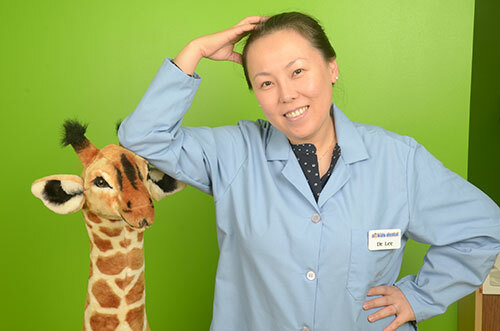 Dr. Lee moved to Connecticut loves to explore local attractions in her free time with her husband and her son. She also enjoys spending time with her family and friends both in New Jersey and Connecticut, cooking, knitting, crabbing, watching movies, and traveling.